If you’re a Filipino English teacher and would like to work abroad, forget about Korea! The Korean government has not opened its doors for Filipino English Teachers. Many of them working in Korea hold F-6 visa (Korean spouse) which allows them to legally work at any company. Unlike Korea, Japan has opened its doors to Filipino English Teachers ~ allowing them to work as “Assistant Language Teacher” or ALT. Applications are now being accepted for Assistant Language Teacher (ALT) positions in the 2016 Japan Exchange and Teaching (JET) Programme. In addition, interested applicants are also encouraged to submit a certified true copy of their driver’s license, if possible. A valid driver’s license is not required, but preferred. Early submissions are appreciated. Please note that applications will not be accepted after the deadline. 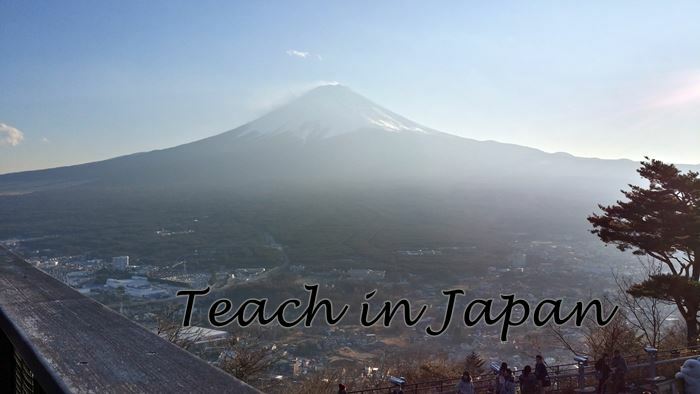 The Japan Exchange and Teaching (JET) Programme was introduced in 1987 to help deepen mutual understanding between the people of Japan and those of other countries through foreign language exchange and cultural immersion at the local level. Around 60,000 participants from over 60 different countries have already been admitted to the programme since its launch. For more information about the JET Programme and the ALT position, please visit http://jetprogramme.org/en/ or the Culture and Education section of the Embassy of Japan Website. You may also contact the Commission on Higher Education (CHED) at ias@ched.gov.ph or the following numbers: 4410750. Im not an education graduate. I’ve been interested with the JET program for a while now. Plus, I like Japan and I am familiar of some of their cultures and customs. I also know the basic Japanese phrases and greetings both formal and casual. I would be the happiest person if I could get into this program. Thing is, I am not so sure if I would qualify. I am a secondary education graduate majoring in Biological Sciences. I can say that I am fluent in English and I have some experiences working in front of people while speaking pure English. I am also a publication/school magazine writer during my school days. Am I qualified regardless of my specialization? I am currently working as a full-time instructor at a local college and I am planning to teach English subjects by the second semester. I am very interested in the JET program and by the time I turn 21 (I’m currently 20 years old), I will try my luck by submitting an application for this program. But I just wanna make sure if non-English majors have the chance to get in. Any reply will be very much appreciated. Thank you so much.